Edge banding is commonly used to cover the exposed sides of materials such as plywood, medium density fibreboard (MDF), PVC or thermofoil etc. The banding itself comes in different materials as well or just painted to give that good look. The main reason to do this usually is to increase durability and give that sleek appearance of a solid material. 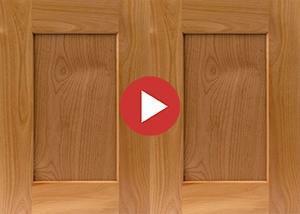 Pro100 software is an excellent tool for edgebanding your cabinets instead of faceframes or molding. Work on the edge by applying your favorite banding to your furniture. You can also switch to any measuring units that you like, whether it is in inches or millimeters. It is always easier to finish your project with plywood. However, the disadvantage using this type of process is that you will need to cover the plywood edges in order to achieve that desirable look of hardwood lumber or whatever material you are using. Depending on which part of the world you live in, the most common usage in North America, are hardwood edging and veneer edge banding. Please feel free to download Pro100 demo and learn how to use it for edge banding. Pro100 will enable you resize your cut pieces just as you would in your shop. Create your own textures or catalog to present that photorealistic look for your clients. You can even make your own edgebanding by customizing your materials within the software. Adjust your dimensions,thickness and so forth by right clicking your cabinet part and click on "properties". You will then navigate to the reports section. Notice the check boxes for part list, cabinet list and material consumption. It is that easy, please see diagram shown below. Edgebanding using Pro100 can applied on kitchen countertops using the same materials such us PVC, T-mold and wood edge. The most popular species are Oak, Maple and Cherry, but other wood species are available in the market as well. If you are going to install these by yourself, Pro100 will let you visualize with precise dimensions. 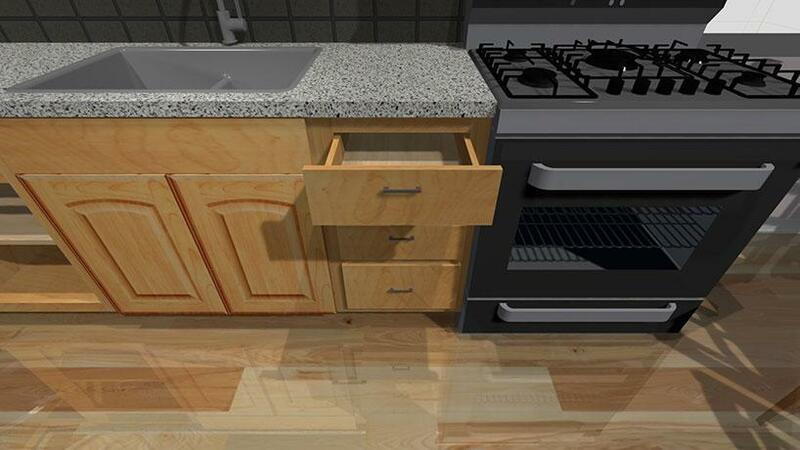 Choose from multiple options in textures to add the perfect finishing touch to the countertops, cabinet doors, drawers, vanities, desks and much more. With Pro100, you will be able to demonstrate 45 degree angle "cut" that smartly frames your finished countertops or whatever it is you are working on. See diagram below and check out our active current users .